Today I am sharing something a little different. Even though I have several projects in the works, I thought I would share a little something about my family life. As most of you know, I am a mom to three boys. My oldest is a sophomore in college, my middle will be graduating high school in May and my youngest is in his final year of elementary school. He is also known as my tech guy or Gman. He is the one that handles all things computer related on this blog. It was his idea that we start this little adventure together and so far we have been having the best time (when he is not being a tough boss). We have even dragged my guy (aka my husband) into this adventure with us. Sometimes I imagine a project and he is the one that has to build it for me. I have to say he has been a good sport about it and I think he really enjoys doing my building projects for me (even if he won’t admit it). O.K. 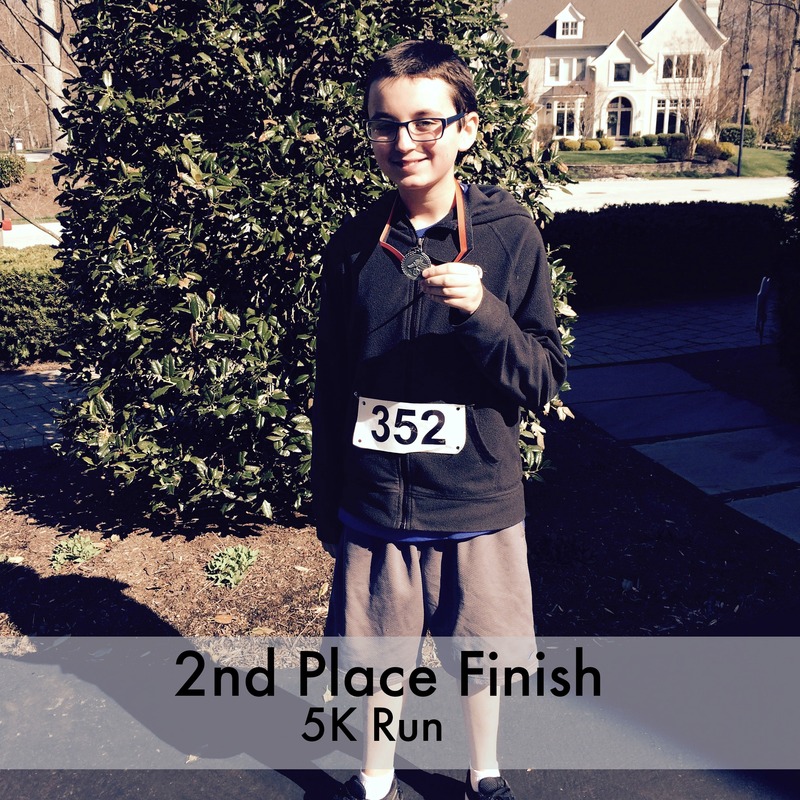 back to my youngest…every year his school does a fundraiser which involves running/walking a 5K. Totally not my thing. Now Pilates, that is something I do and enjoy. Running not so much. Anyway, we have been doing this 5K for a long time, keep in mind that my oldest is a sophomore in college. I told my youngest if he wanted to do it, we would do it with him. It is his last year at the Elementary School. So this morning, we had to drag ourselves out of bed to participate in the 5K. I told him from the start, I was going to walk and so was his dad. Then when we get there, he is looking at the starting line, the music is pumping and he asked, “can we run in the beginning?” I was looking around for one of his buddies that he could take off running with, no such luck. Once the race started, my husband and I took off at a slow, slow pace…a nice and easy jog that turned into a leisurely stroll. The little guy just took off. 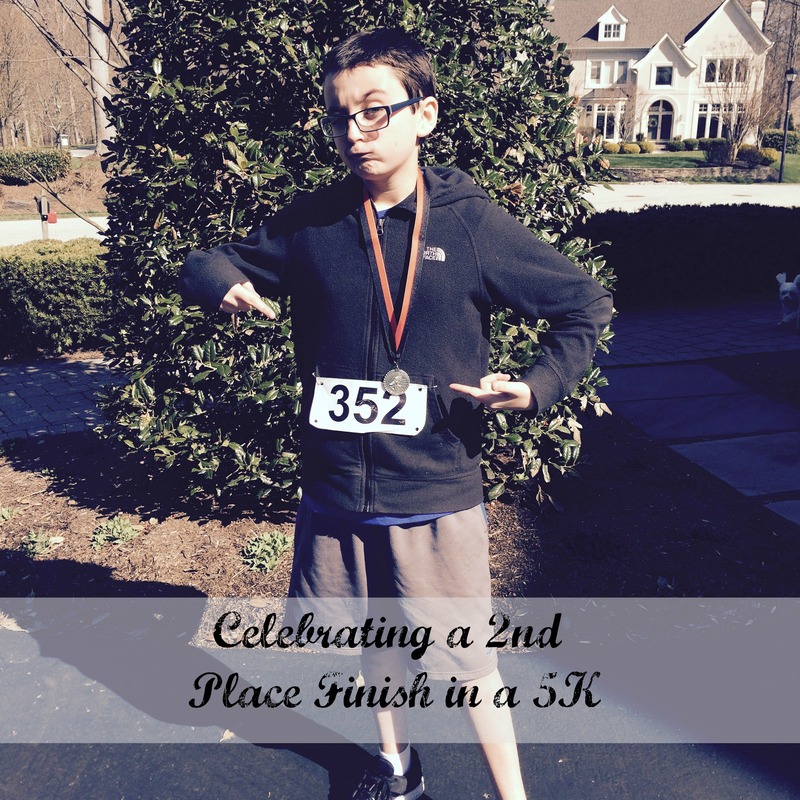 He ran, jogged, walked and tied his shoes twice for a 2nd place finish in his age/gender group! My guy and I came in dead last! I am not joking when I say this. My guy was a true man and let me cross the finish line before him, so technically, he was dead last!